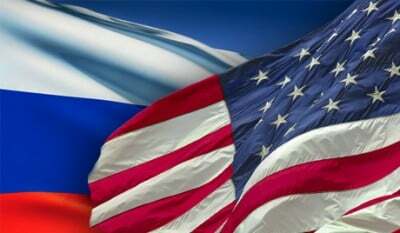 Throughout four-and-a-half years of conflict, Russia has gone all-out to resolve it diplomatically – in stark contrast to Washington, wanting endless war continued, no matter the devastating human toll. Obama bears full responsibility for horrific carnage and mass displacement, using ISIS and other takfiri terrorists, imported foot soldiers from scores of countries, supplemented since September 2014 by US air attacks on Syrian infrastructure and other government targets, aiming to replace Assad with a Western-controlled puppet, eliminate an Israeli rival and isolate Iran. Washington rejected earlier Russian peace proposals, again its latest effort, claiming so-called opposition figures dismissed it. It’s unclear who they are or if a legitimate non-terrorist opposition exists. A Russian text published by Reuters includes an eight-point proposal titled “Approach to the Settlement of the Syrian Crisis” – prepared ahead of more international talks in Vienna on Syria this week. 1. List ISIL (Islamic State) as a terrorist organisation by the UNSC (UN Security Council). 5. When considering the issue of a ceasefire in Syria, operations against ISIL and other terrorist groups must be excluded. 6. Launch under the auspices of the UN special envoy political process on the basis of the Geneva communique of June 30, 2012 between the Syrian Government and a united delegation of the opposition groups. The composition of the opposition delegation has to be agreed beforehand, including on the basis of readiness of respective groups to share the goals of preventing terrorists from coming to power in Syria and of ensuring sovereignty, territorial integrity and political independence of Syria, as well as secular and democratic character of the state. 7. The Syrian parties at the proposed conference are invited to agree on the following steps. Launch a constitutional reform, to take up to 18 months, to guarantee sustainable security and fair balance of interests, rights and obligations of all ethnic and confessional groups in structures of powers and state institutions. For the purpose, to form a constitutional commission to embrace the entire spectrum of the Syrian society, including domestic and outside opposition. The president of Syria will not chair the constitutional commission; a candidature of its head will be agreed by all the participants. Draft constitution will be submitted to a popular referendum. After its approval an early presidential elections will be called. Parliamentary elections planned to take place in the spring of 2016, will be, in the light of a constitutional reform, postponed and will be held simultaneously with the presidential election on the basis of the new constitution of Syria. Syrian Government will be formed on the basis of a party/electoral block which receives a majority of the popular vote and will possess full executive authority. Popularly elected president of Syria will have the functions of commander-in-chief of the armed forces, control of special services and foreign policy. 8. Convene a Syria Support Group (SSG) to help prepare the conference and assist Syrian parties during its work in reaching a mutual consent. The SSG could include members of P-5, Saudi Arabia, Turkey, Iran, Egypt, Jordan, Oman, Qatar, UAE, Iraq, Lebanon, Germany, Italy, UN Special Envoy, Arab League and OIC, European Union. Each point makes sense. Defeating ISIS and other terrorists requires unity against a common scourge vital to eliminate. Steps include stopping US and other nations from providing support to terrorists – supplying heavy weapons, munitions and other supplies. Assad is agreeable to further constitutional changes in addition to earlier ones overwhelmingly approved by popularly supported national referendum. He said many times he only wishes to remain president as long as Syrians want him. He’ll likely have no objection to another round of internationally monitored open, free and fair presidential and parliamentary elections. His only stipulations are wanting Western and regional acceptance of their results, along with insisting on prioritizing war on terrorism. Peace won’t come unless it’s neutralized or eliminated.